Come join us this Valentines Week with Bottom Champagne for only $4.95 per person with the purchase of an entree! Add a carafe of fresh orange juice to create a Mimosa cocktail or add a carafe of cranberry juice to create a Poinsettia cocktail! 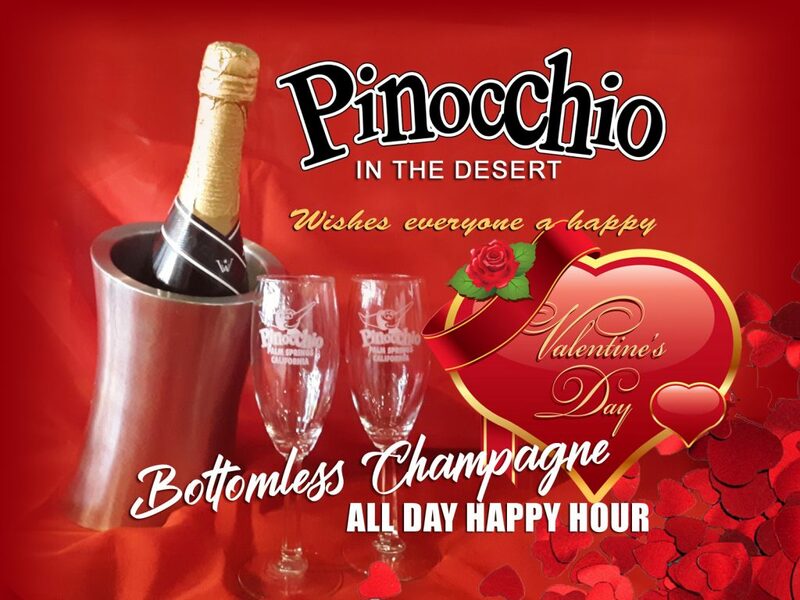 Pinocchios in the Desert wishes everyone a very happy Valentines!